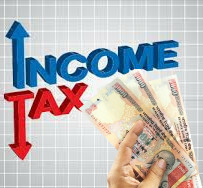 What are the Income Tax Rates for Indian citizens for Financial Year 2017-2018? They have to pay 5% of the Income amount by which it exceeds Rs. 2,50,000. If a person's total income is Rs 3,50,000. The Income tax will be 5% of 1,00,000 (3,50,000 - 2,50,000 ). Ie, Rs 5,000. Total Income Tax amount he should pay is Rs 52,000. Total Income Tax amount he should pay is Rs 1,42,500. For Income Tax Slab and Rates for senior Indian citizens of age above 60 visit Income tax rate for senior Indians and retirees.